Barbara Baill brings wisdom and learning from over twenty-five years of Human Resources and line management experience in the fast-paced environment of high-tech, bio-tech and pharma industries. She holds a deep understanding of the leader’s role in building great organizations and successful businesses. Throughout her career, Barbara has been committed to helping women leverage their strengths while managing their self-limiting thoughts and behaviors to become powerful game-changing individuals and leaders. 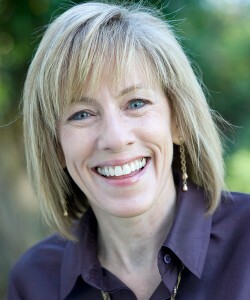 Prior to developing her consulting practice, Barbara served as the VP of Human Resources for Quantum Corporation’s hard disk drive business where she was responsible for overall HR strategies and development of organizational capability for a $3 billion global business, including large-scale organizational change and redesign efforts. Before joining Quantum, Barbara spent over 15 years with Hewlett-Packard. In her last five years there, Barbara led the worldwide Executive and Management Development function for the company. She created HP’s first development program focused on helping high-potential women and people of color accelerate their leadership careers and increase HP’s senior leadership diversity profile. The program successfully ran for twenty years and was credited as being key in helping participants move into senior level positions. Barbara has a B.A. in Sociology from the University of Michigan and a M.A. in Industrial Relations from the University of Minnesota. She is a certified Integral Coach through New Ventures West, member of the International Coach Federation, the Association of Corporate Executive Coaches and Human Resources People and Strategy Association. She currently serves on the Boards of two woman-founded companies: ROI Communication, an organizational communications consulting company and Mindlaunch, an online education start-up. People describe Barbara as warm, calm and insightful. A combination of big heart and business savvy, she is a great listener and astute in understanding how to effectively manage through organizational cultures and politics. She lives in the Silicon Valley and has three adult daughters. I would welcome the chance to work with Janet again. She'd be my first choice to coach any individual that I or the company wanted to raise to another level.